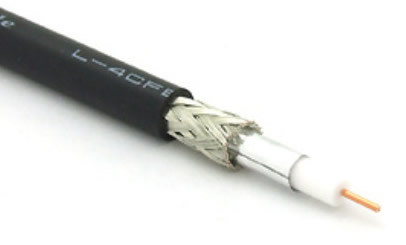 75Ω Digital coaxial video cable. Tinned copper braid with Aluminium foil shield. Fits most RG59 BNC or RCA connectors. The Canare range of coaxial cables offer the superior performance characteristics required for modern digital signals up to and exceeding 3GHz. Sizes from 4mm to 11mm OD, all with best in class performance and quality. Call for pricing and full performance figures. These cables are also excellent for SPDIF Audio and Analogue Video. To ensure these cables will meet their published perfomance, they must be terminated with the appropriate Canare connectors and tools. Call us for information about the Canare BNC, RCA and other types of connectors available. Please note: these cables are not generally stocked, and minimum orders may apply.